Bajaj bikes price starts at Rs. 32,200 for the cheapest bike CT 100 and goes up to Rs. 1.74 lakh for the top model Bajaj 2019 Dominar 400. Bajaj offers 19 new bike models in India. 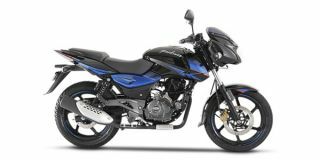 Pulsar 150 (Rs. 64,998), Pulsar NS200 (Rs. 1.01 lakh) and Pulsar 220 F (Rs. 98,685) are among the popular bikes from Bajaj. In the year 2019/2020, Bajaj is going to launch 4 new models in India. Select a Bajaj bike to know the latest offers in your city, prices, variants, specifications, pictures, mileage and reviews. Q. I am 6.1 feet tall is it suitable for me? Q. I am 6.2 feet tall it's suitable for me? Q. Will Indians choose a 125cc bike for 1.5L where they can buy a NS200 or Apache RTR 200. Which are more powerful 24HP bikes and cheaper than this KTM125? Q. Does this come with dual channel abs or not? Yes, it comes with Dual Channel ABS. Q. 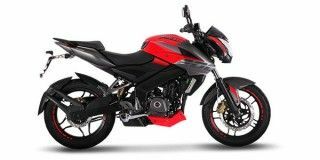 Which bike is best in Honda CB Unicorn 150 or 150 Pulsar? If you looking for stylish bike with good milage great performance go with pulser 150 or if you want best milage good performance with good looking and low price go with splendor plus. Q. Which one is better between R15 V3 and RS200? The new Bajaj Dominar is here with a host of updates, but is it late to the party? With over a decade of legacy, has the Avenger started to show its age or can it still fight the Intruder?